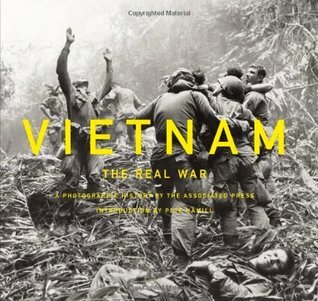 Vietnam: The Real War with introduction by Pete Hamill is a coffee table book that is heavy with photographic evidence of war, the burdens soldiers and civilians carry from those conflicts, and the moral ambiguity soldiers find themselves mired in when faced with unexpected death. There are images in this collected visual and textual history that will haunt readers for years to come, but the story told in these pages through the eye-witness accounts of journalists who thrust themselves in combat alongside soldiers should make the harsh realities of war even more frightening for those of us who merely read history and have not lived it as a pawn in a larger strategic game of politics and nationalism. Even with all that is known about the war and the inflated body counts made by the U.S. military during the war, there are still some great unknowns and even some smaller more poignant ones for the families of journalists and soldiers lost in Vietnam. For instance, did the January 1952 bombings in Saigon really happen because of the Viet Minh, the predecessor to the Viet Cong, or was it U.S. intelligence agents? And what really happened to Sean Flynn, a freelance photojournalist and son of the actor Errol Flynn, in the early 1970s — was he killed in action or captured? Lest readers think that photojournalists and reporters were kept back at the barracks or the camps, this book sheds light on just how dedicated these journalists were and how close to the action they had been — some of them taking photos only to drop their cameras and help civilians, soldiers, or become wounded themselves. There are, of course, the most famous images from the Vietnam war from the Associated Press, including the Buddhist Monk who set himself on fire in the streets, the young girl running naked after Napalm was dropped on her and other civilians by the U.S. military, or the shooting of an unarmed Viet Cong after capture in the Saigon street. But there are other photos that show the beauty of Vietnam, including an aerial view of the newly plowed rice paddies and the pristine beaches, as well as the most mundane activities — watching a soldier shave while battle surrounds him or men on their way to bathe in towels while still carrying their weapons. Sad photos stretch across these pages from the unknown soldier who looks too young to be in battle, wearing a helmet with the phrase “War Is Hell” written across it or the woman who pleads to be evacuated with her wounded husband, but is left behind. Vietnam: The Real War is heavy in subject and content. It should give readers pause. The text accompanying the photos and the background on the war are to the point and provide enough detail without getting bogged down too heavily in the politics or the perspectives floating around in hindsight. An excellent starter for those looking to learn more about the war. Pete Hamill is an American journalist, novelist, essayist, editor, and educator. The recipient of numerous awards, Hamill is currently a Distinguished Writer in Residence at the Arthur L. Carter Journalism Institute at New York University. 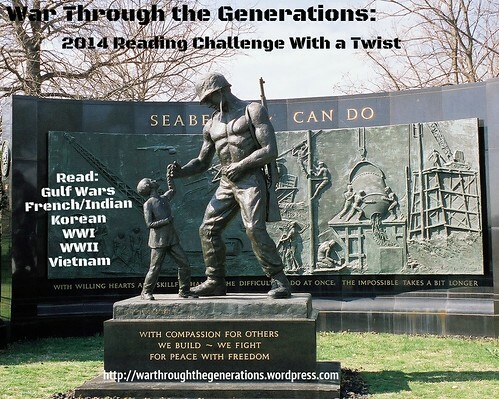 19th book (Vietnam War) for the 2014 War Challenge With a Twist. 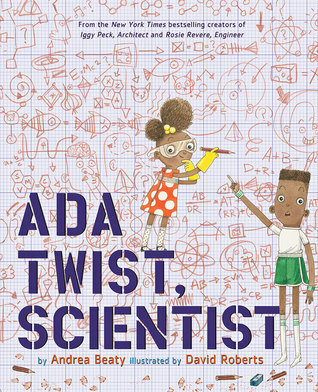 44th book for 2014 New Author Challenge.